The University of California, Los Angeles, is a public research university and one of the highest ranked schools in the U.S., receiving more applications last year than any other school. The picturesque, bustling campus is located in the heart of LA in the Westwood neighborhood, bordered by the iconic neighborhoods of Bel-Air, Brentwood and Beverly Hills. Home to approximately 31,000 undergraduates, this is a large school with a diverse, enthusiastic population from all over the world. Transportation: The closest major airport to UCLA is the Los Angeles International Airport (LAX), located approximately 15 miles south of the campus. Take a taxi or ride the Westwood FlyAway to and from LAX. Amtrak has service to the to the Van Nuys or Bakersfield Amtrak stations. Stay: Right on campus, check in to the new Luskin Conference Center with 254 guest rooms and Plateia, a full-service California and Mediterranean-inspired restaurant good for breakfast, lunch, and dinner. Another convenient option is the W-West Beverly Hills located right across from the UCLA campus in Westwood. After a recent 25-million dollar refurbishment everything is looking brand new and refreshed. Situated on seven lush acres between Bel-Air and Brentwood check in to the Luxe Hotel on Sunset Blvd. Coffee: On campus, Kerckhoff is a popular spot with a lovely patio, perfect for student watching. In Westwood Village students like to meet and linger on the leafy patio of Espresso Profeta. Breakfast: For a quick meal before your tour, head to Nekter Juice Bar for açaí bowls, smoothies and healthy snacks to go. Also in Westwood, there is a branch of Le Pain Quotidien, always a reliable choice. If you have the time, and a car, it’s worth it to venture to nearby Farmshop, at the charming Brentwood Country Mart. This restaurant and gourmet market is one of our favorite places in LA for breakfast or lunch. Browse the boutiques afterward for some retail therapy. Lunch: Students rave about the Neapolitan thin crust pizzas at 800 Degrees Pizza, serving the best pies in Westwood. Order a double-double at In-N-Out, and see why this West Coast burger chain has legions of fans. Some students compare Cava to a Mediterranean Chipotle for high-end fast food. Looking for a quick Korean fix, head to either Gushi or Bibigo. Attari Sandwich Shop serves Iranian soups, sandwiches, and kabobs. Next door, Attari Grill serves a more extensive menu; we hear the abgoosht, a stew of lamb and chickpeas is delicious. Casual: Enjoy boiled in the bag Cajun spiced shellfish at The Boiling Crab, you’ll feel like you’re at a friends backyard crab fest. Stock up on the napkins, this is messy food! Fat Sal’s keeps everyone happy with inventive massive sandwiches and sides, open late night till 3 am. Serving seasonal, Californian food Tuesdays-Saturdays, Fundamental LA is a tiny, sandwich shop by day that serves small plates at night. A Step Up: One of the best choices in Westwood, is Napa Valley Grille serving local, seasonal California cuisine with an excellent regional wine list. Just opened in the newly rebranded W is STK, a club like steakhouse. Students like to take their parents when they’re in town to Palomino right in Westwood. In nearby Beverly Hills, Wolfgang Puck’s Spago is still one of LA’s best restaurants with stiff competition from newcomer Maude from chef Curtis Stone of Food Network fame. Over in West Hollywood, Jon and Vinny’s is a casual, popular spot for killer pizza’s, pasta and their famous meatballs. Seafood lovers will be happy at loud, fun Connie and Ted’s, don’t skip the calamari, we had to order a second round it was that good. For our favorite restaurants in Santa Monica and Venice (worth the quick drive) see our Daytripper365 itinerary here. Los Angeles is one of our favorite restaurant cities; click here for the best places to eat beyond the Westwood vicinity. Local Attractions: In nice weather, the beaches of Santa Monica and Venice are a short drive away. There is world class shopping in nearby Beverly Hills, Robertson Blvd and Melrose Avenue with big name designers mixed in with smaller, more independent boutiques. Art lovers should head to the Getty Center, LACMA or the brand new Broad Museum. Great hikes can be found in Runyon Canyon and Griffith Park. See more of what to do in LA here. THE BEST EATS IN L.A.
Just toured the UCLA Campus? 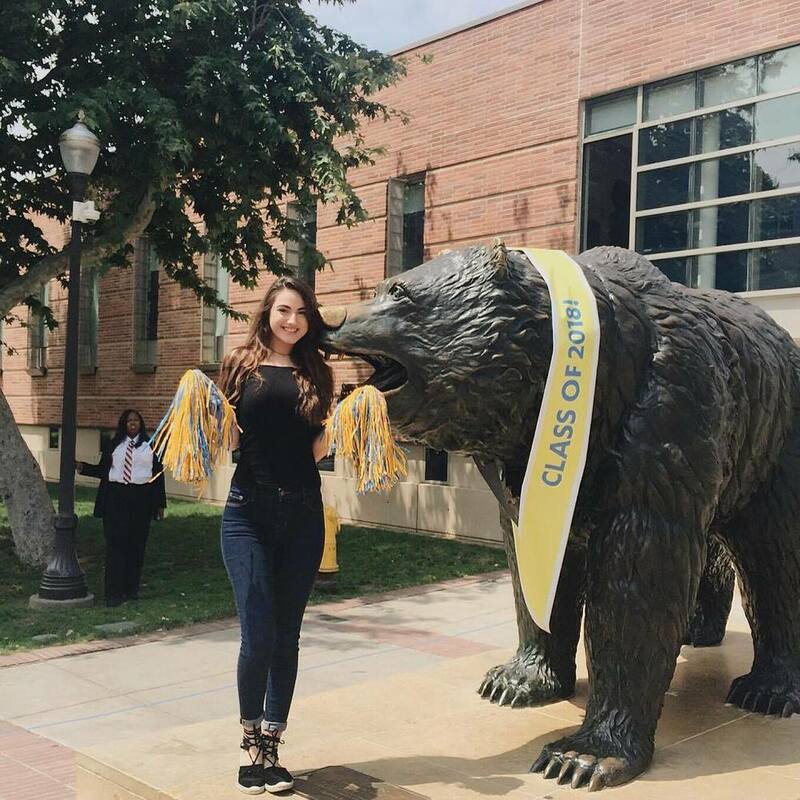 Are you a UCLA student, parent or Alumni? Fill out this 2 minute survey to supplement our Daytripper University Guide for UCLA!